RUSH: I predicted this, ladies and gentlemen, I predicted this. ‘The head of NASA told scientists and engineers that he regrets airing his personal views about global warming during a recent radio interview, according to a video of the meeting obtained by The Associated Press. NASA administrator Michael Griffin said in the closed-door meeting Monday at the Jet Propulsion Laboratory in Pasadena that ‘unfortunately, this is an issue which has become far more political than technical, and it would have been well for me to have stayed out of it.” Boy, is he right about that. It’s far more political than technical. It’s totally political. It’s religious. I knew this was going to happen. Bush is doing not a 180, he’s trying to do a 90 degree turn here on global warming. He’s keeping it technical but he’s going over to this G8 thing, and Tony Blair is saying, ‘Well, don’t worry about President Bush. I can work on him on this and I can persuade President Bush about global warming.’ You know what this reminds me of? I knew this was going to happen. I predicted to you people on this program that they’re going to jump on him and have to reverse field. Do any of you people remember the name Copernicus? Copernicus sat out there and told the Catholic Church that it was wrong when it said that the sun and everything out there revolved around the earth. Copernicus said, ‘You are wrong. The earth revolves around the sun.’ The Catholic Church didn’t like it. Along came Galileo. Galileo got involved with the magnifying glass, the telescope, he eventually proved it, and they banished him. He was a heretic, they told Galileo, screw you, you’re outta here, pal, Copernicus didn’t fare much better. That’s the short version of the story. 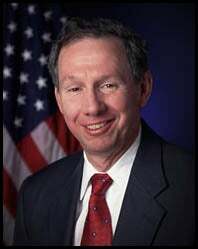 Now, the Church of Global Warming today has banished the NASA chief. All he said was, ‘Well, who are we to say that the climate right now is ideal? Who are we to say that the climate on the planet right now is the norm?’ What he was saying is there is no norm because it’s always changing. But if this is the best climate for all the people on the earth, how can we possibly know this? And he got slapped down. He’s a heretic in the Church of Global Warming. He has been banished, ladies and gentlemen. He has been told to change his mind, and so, as a dutiful soldier in the Bush administration, that is what he did. It is indeed more political than technical, because there is no technical proof that global warming exists, at least none that is anywhere near what the scientific method says is required to prove it. ‘Griffin told JPL workers he tried to separate his opinions during the NPR interview, but that it got ‘lost in the shuffle.’ ‘Doing media interviews is an art. Their goal is usually to generate controversy because it sells interviews and papers, and my goal is usually to avoid controversy,’ he said.’ I’m sure he thought he was avoiding controversy with a simple truthful statement. How do we know that the climate today is normal? Can you imagine for that he’s a heretic? He has been banished by the Church of Global Warming, led by the all-powerful priest Algore, who is also out trying to suppress all other forms of disagreement to his point of view. RUSH: Ed in Raleigh, North Carolina, it’s nice to have you on the EIB Network. Hello. CALLER: It is a pleasure to talk to you. CALLER: It must be difficult to be under the scrutiny of millions of people. RUSH: No, I enjoy it. I feed off of it each and every day. CALLER: Well, good. I hope not to affect your accuracy ratings. Galileo did not prove that the earth revolves around the sun. All he had was observable data that attributed to the theory that the earth revolved around the sun because he could not — and the sun revolving around the earth was widely held by the scientists at that time. RUSH: Right, just like global warming is supposedly widely held by the nimrod scientists of today. CALLER: And he could not answer the question of why there was no shift in the stars’ position as the earth revolved — if the earth revolved around the sun, why was there no observable shift in the stars’ positions. And it wasn’t until 1838 that they proved without a doubt, based on the scientific technology at that time, so it wasn’t until then that they could definitively say that the earth revolves around the sun. So Galileo’s problem was that it was a theory, and he professed it as truth, and he wanted Scripture to be interpreted based on what he was professing to be truth, and that is what got him in trouble with the Catholic church. RUSH: So you’re saying the church was right? RUSH: This is a fascinating point on both philosophy and logic, in both areas. Because what we say is irrelevant to what is. Whether we’re able to discover it and learn it is one thing, but the earth has always revolved around the sun, no matter what who says what. Whether we didn’t know about it until 1838 doesn’t mean it didn’t happen, it was happening, we just didn’t have the smarts to figure out or the ability to figure it out. It turns out, therefore, that Galileo was right. He still was branded a heretic and thrown out of there. The Catholic Church had to change their mind on all this. CALLER: The Catholic Church, well actually Pope Urban some number actually allotted him to write a book professing his theory, and the problem was he wanted to state it as truth and he had no evidence determining that it is truth. RUSH: Let’s take all this and move it forward to today in the global warming debate, because we’ve got scientists on both sides, got us a so-called consensus — which we don’t have, by the way, but they say we do. You can’t have consensus in science anyway. You’ve got people on both sides, the scientists who disbelieve it ’cause it can’t be proven are saying that — well, they’re being called deniers; they’re heretics; they’re being thrown out of the Church of Global Warming. The Church of Global Warming can’t prove what they believe. They have to rely totally on faith just like every other religion does, and they have their heretics and their deniers and they’re throwing them out. Now, in this case we do have a little bit more empirical data than Galileo had. We’ve got the ability to go back and study ice cores and all kind of things. We know the earth has warmed and cooled long before we started manufacturing these so-called massive amounts of CO2 which we are not manufacturing, by the way. Thirty-eight out of 100,000 molecules in the air are CO2, and it would take five years at current levels to move that to 39. And yet Algore is out there in the movie saying, 30 billion tons of CO2 thrown in the atmosphere every year. And people go, ‘Oh, my God, CO2, 30 billion tons, we’re going to die!’ Thirty-eight out of every 100,000 air molecules are CO2. Zilch. And most of it’s not produced by us. We know enough to disprove the Church of Global Warming today based on our knowledge of the past. CALLER: I completely agree with you, Rush. RUSH: Well, see how this ended up? You think that the church had no choice but than to throw Galileo and his theories under the bus? Well, there weren’t buses then. Throw him overboard because he simply couldn’t prove it even though he was right? CALLER: That’s right, because he wanted it told as truth, and he could not prove that it was truth based on the scientific standards of that time, to the Aristotelian standards of scientific proof, he could not prove it. RUSH: Well, look at him today, though. 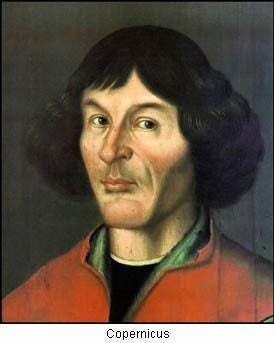 Great figure as is Copernicus. RUSH: You can throw Da Vinci in there. RUSH: Well, look, I appreciate the call. What strikes me about this is, and it’s always fascinated me about humanity and man, what is, is, whether we know it or not, but we don’t say it is ’til we know it, ’til we can prove it. On this global warming, nobody can prove it, not a soul can prove it, and yet how many people are out there accepting it for a whole bunch of psychological or religion-related reasons? It’s amazing how little we learn despite how much more knowledge we acquire. RUSH: Here is Mary in Fresno, California. Hi, Mare, nice to have you on the EIB Network. CALLER: Hi, Rush, it’s such an honor to speak with you. I’m on a cell phone so hopefully everything will be okay. You talked about how global warming has such religious fervor behind it, and I wondered if you brought up in the first half of the last century that eugenics has the same religious fervor. People were worried about the human race being watered down and made inferior by inbreeding, and Margaret Sanger was like the Algore of eugenics back then. RUSH: That’s exactly right, and now she’s a Planned Parenthood babe. RUSH: There are a lot of other people involved. There are people that would stun you that were involved in the eugenics movement back then. I can’t think of any right off the bat, but the eugenics movement was selective breeding. RUSH: And women and minorities are going to be hardest hit. RUSH: Yeah, but it was somewhat related to race, but it was mostly they were trying to match IQs. They wanted to create a race of brains, brainiacs and so forth. RUSH: So everybody would be a northeastern liberal. CALLER: But everybody believed it was correct. I think my phone’s dying, I’m sorry. RUSH: (Laughing.) Anyway, it’s a good point. Oh, we just lost the cell phone connection. Darn it I hate it when that happens. But that’s a good point, the eugenics movement. I don’t want to throw names out that might be wrong. But some names would surprise you who were involved. I’m talking Americans, not of course Hitler! Jeez. Alexander Graham Bell — father of what, what did he invent? Telephone, absolutely right. I know there’s a dispute about who invented the phone. Some scientist at Bell Lab thinks he did it.